James Neil Bethune took Tom Wiggins to Europe where he collected testimonials from music critics Ignaz Moscheles and Charles Halle, which were printed in a booklet “The Marvelous Musical Prodigy Blind Tom.” With these and other endorsements, Blind Tom Wiggins became an internationally recognized performer. By 1868 Tom and the Bethune family lived on a Virginia farm in the summer, while touring the United States and Canada the rest of the year, averaging $50,000 annually in concert revenue. James Bethune eventually lost custody of Tom to his late son’s ex-wife, Eliza Bethune. Charity Wiggins, Tom’s mother, was a party to the suit, but she did not win control of her son or his income. Blind Tom Wiggins gave his last performance in 1905. 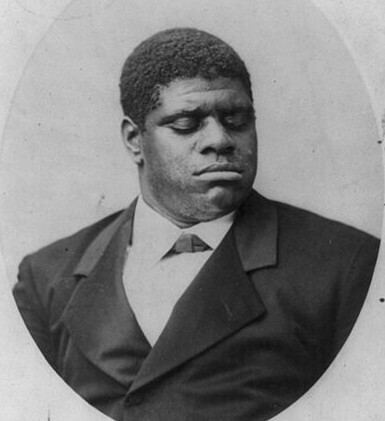 He died three years later on June 13, 1908 at the age of 59 at his manager’s home in Hoboken, New Jersey.